During the summer of 2015, I interned at Harmelin Media, a media planning and buying company. I worked in the field of Data Science and helped analyze the relationship between weather and media attributes. In order to do the same, I applied statistical concepts such as t-test, covariance, and regression squared. These operations were carried out in R and Python. I was working with data that was considerable in magnitude. Due to this, I was cognizant of efficiency with every operation I executed on the dataset. 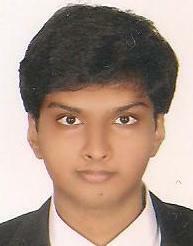 Having an internship allowed me to gain first-hand experience of the field of Big Data. Prior to the internship, my knowledge of the same was acquired primarily through newspaper articles and blog posts. It also allowed me to reflect about what field of Computer Science I would like to work in in the future. I would strongly recommend students to engage in summer internships.